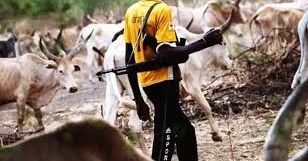 The Benue State Police Command has announced the murder of one of its officers recently kidnapped by suspected Fulani herdsmen in the state. The command’s PRO, Moses Yamu disclosed this on Monday that the lifeless body of the officer was discovered with both eyes, ears and nose plucked out. He said, “The Command regrets to announce the death of one of its NCO, who was one of the two remaining missing policemen in the attack of 9/2/2018. “He was found brutally slaughtered, with eyes and ears as well as nose removed. We pray that God Almighty grants him eternal rest.